Are you running a dirty business? Is so, it’s time to clean it up with Cleaner Business for WordPress. 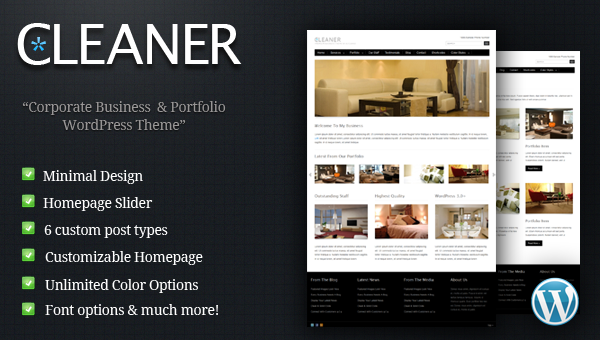 The Cleaner premium WordPress theme has been designed by MojoThemes for those looking to create a very clean and minimalistic website to show off their business or personal portfolio.